Yeeeeaaaaahhhhhh....mmmmkkkaaayyyy. 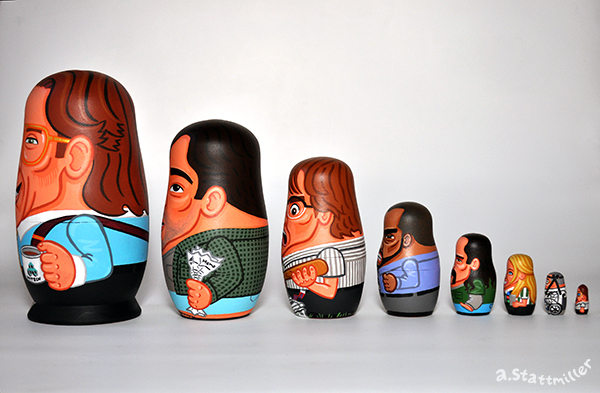 Here's the Office Space nesting dolls I painted for Gallery 1988's Crazy4Cult9 show. I chose Office Space because it's one of my favorite all time movies! 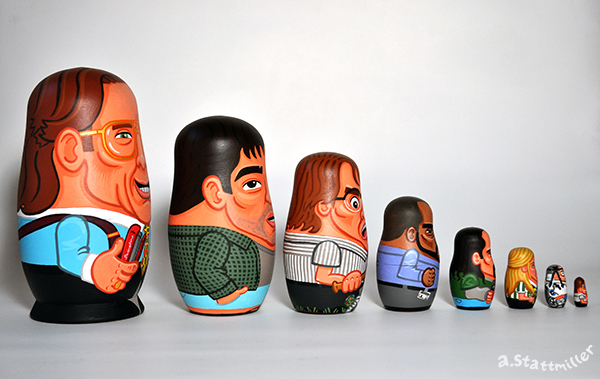 So yep, these are all hand painted with acrylics on wooden nesting dolls. 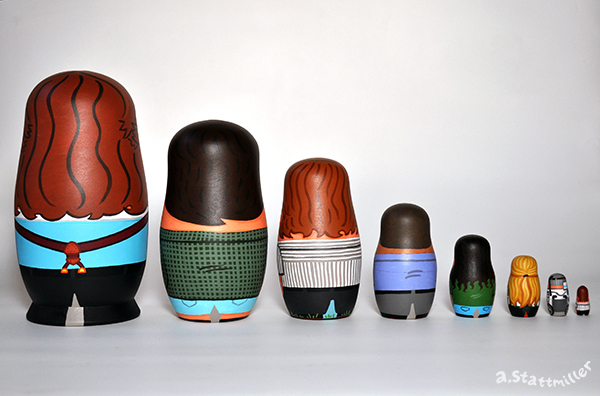 The largest is 7" tall, the smallest 0.75". 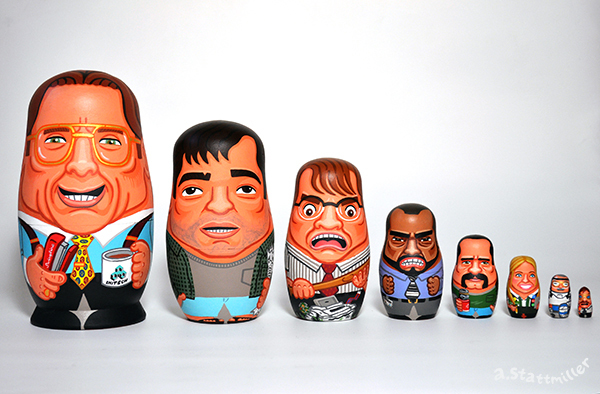 This set features Lumbergh, Peter Gibbons, Michael Bolton, Samir Nagheenanajar, Lawrence, Joanna, Tom Smykowski and Milton. Now I'm gonna need you to come in on Sunday too. 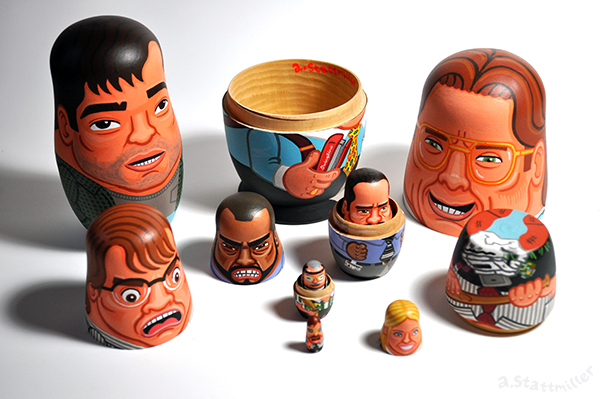 Here's a link to Gallery 1988's Crazy4Cult9!